The Middle Deschutes River is a ribbon of blue and green through an arid landscape with canyon walls on which you can spot golden eagle nests and hear the melodic song of canyon wrens. Hikers walk along Steelhead Falls Trail on hot days, seeking cool cascading water at the falls. 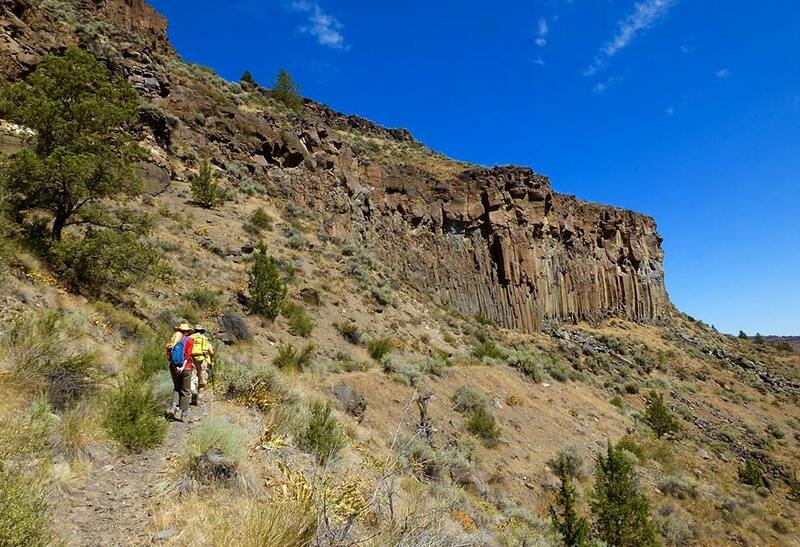 The Lower Crooked River Canyon provides expansive views of the surrounding landscape. The dry canyon ledges contrast sharply with the cool running river below. The river is accessible on hiking trails including Lone Pine Trail. Starting in Three Sisters Wilderness, Whychus Creek meets the Deschutes River in Deschutes-Steelhead Falls Wilderness Study Area. Whychus Creek, meaning "the place we cross the water," has a long history of use by Native Americans. Alder Springs Trail leads to the confluence of Whychus Creek and the Middle Deschutes River. Alder Springs- Located on Lower Whychus Creek, Alder Springs is an oasis in the high desert. Hiking down to the springs you will be treated with panoramic views of the Cascades, towering rock formations and expansive vistas of Whychus Creek Canyon . Click here for driving directions to Alder Springs Trail. Steelhead Falls- This spectacular waterfall is the most well-known and popular destination in the Middle Deschutes area. A short 1/4 mile hike along the Deschutes River takes you to the cliffs overlooking the roaring falls. ﻿Click here for driving directions to Steelhead Falls Trail. ﻿ Click here for a Steelhead Falls Trail native plant checklist. Scout Camp- This short loop trail on the Middle Deschutes is one of the visually stunning hikes you'll find in the Central Oregon. Hiking down into the Deschutes Canyon gives a firsthand view of the tumultuous geological history of our region and the dramatic Middle Deschutes Canyon. A short scramble over some boulders at the river allows you to complete the loop trail and enjoy views of the confluence of Whychus Creek and the Deschutes, or you can return the way you came. Otter Bench- Located on the Lower Crooked River, the Otter Bench trail System has something for everyone. 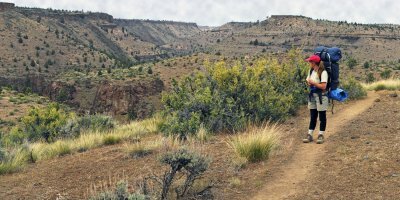 The 3.5 mile loop takes you along the canyon rim, and two shorter trails take you on a more strenuous hike into the spectacular sheer-walled canyon of the Crooked River. Those looking for a longer excursion on horseback or mountain bike can connect to the 5 mile Opal Canyon trail from the Otter Bench trail. Please visit www.blm.gov/or/districts/prineville/recreation/files/scout_camp.pdf for maps and driving directions for the Scout Camp and Otter Bench trails. ﻿Click here﻿ for a map of the Deschutes Canyon Area. VIEW A SLIDESHOW of the Deschutes Canyon Area. Then come and visit!